Ever since I was a little girl, I would find myself sketching or painting all of the memorable moments of my childhood. Artistic abilities were always my strong point as a child, and as I grew I realized I could capture even more just by picking up the camera. After many years of educating myself in the craft it soon became my profession. I was lucky enough to create a full time business around what I love to do each day! I am currently offering location sittings in the city of Chicago as well as the surrounding suburbs. 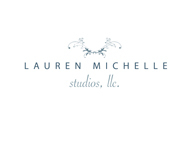 I am honored to say that Lauren Michelle Studios has recently combined efforts with Childrens Memorial Hospital, helping the kids through donations funding cancer research. If you wish to make a small donation to better the lives of the children at CMH please follow this link to do so; http://www.childrensmemorial.org. You can also make your donations over the phone by calling Julie Groos at 773.880.3238. Please mention this donation is "in honor of Lauren Michelle Studios", so I can be sure to extend my thanks. I have endless appreciation for any consideration/donations you may be able to give. I feel so blessed to be able to combine my life passion with meeting people like you each day. I thank you for taking the time to explore my site. There are updates quite frequently so visit back when you can. I hope I can work with you to capture your family and what makes you special and unique. Feel free to call or email me with any questions that you may have.